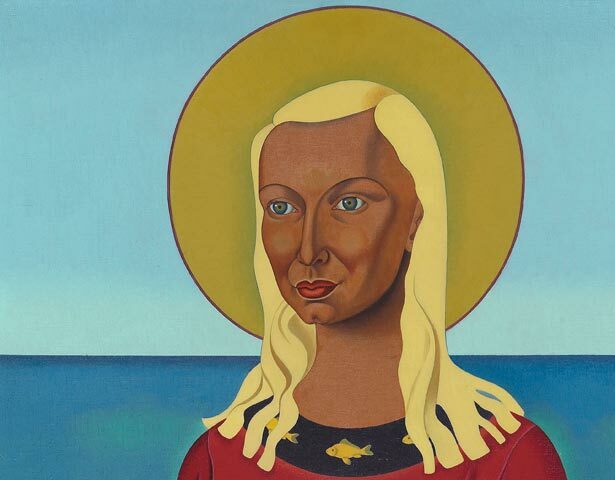 As a pioneer of modern painting in New Zealand, Henrietta Catherine Angus, better known as Rita Angus, evolved a distinctive and highly personal art. Angus – an austere, disciplined and often exacting woman – was sustained by her belief in her vocation. From the 1960s she was recognised as one of the leading figures in 20th-century New Zealand art. Rita Angus was born in Hastings in 1908 and spent her childhood between Napier and Palmerston North. In 1927 she began a diploma in fine arts at Canterbury College School of Art, where she received a sound traditional training in life drawing, still life and landscape painting. Touring exhibitions of East Asian art were a source of stimulus, encouraging her growing interest in Far Eastern religion and artistic styles. Angus married a fellow artist in 1930, but separated four years later and spent most of the rest of her life living alone. During the 1930s and 1940s she had various short-term jobs to eke out a living, and began exhibiting with the Canterbury Society of Arts. Having her painting Cass exhibited in the National Centennial Exhibition of New Zealand Art in 1940 signalled the beginning of critical recognition for her work. However, widespread critical acclaim came relatively late. Interest in her work grew steadily from the late 1950s, due in part to her inclusion in national touring exhibitions organised by the Auckland City Art Gallery. Angus continued painting until shortly before her death in 1970, after which her reputation continued to grow. The National Art Gallery’s major exhibition of her work in 1982–83 confirmed Rita Angus’s status as one of the outstanding artists of her generation. We have 8 biographies, 2 articles, related to Rita Angus.